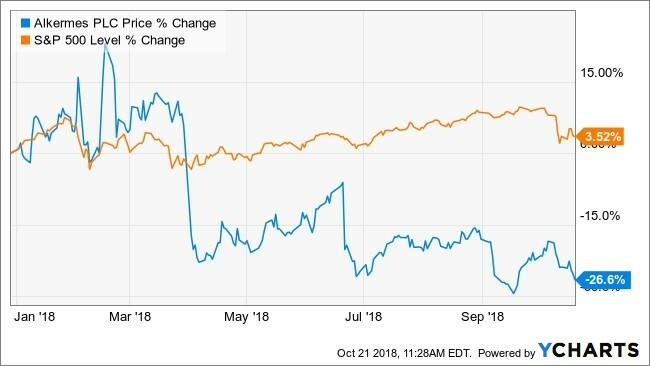 Alkermes PLC.’s (ALKS) stock has fallen by 21% in 2018 easily underperform the S&P 500 which has a gain of 4%. However, the next few weeks may prove to be pivotal for the company. The company is due to go in front of an FDA advisory panel seeking FDA approval for its depression drug. Amazingly, the top 7 shareholders of Alkermes stock own nearly 75% of this company. What is even more interesting is that Hedge Funds were fleeing the stock during the second quarter, while a few of these vast holders were adding to their position. Perhaps more impressive is the shareholder list which consists of Primecap Management Co. and FMR LLC (Fidelity) owning 30% of the company. That is followed by Wellington Management Group and T.Rowe Price which own an additional 25%. The smaller three institutions hold about 21% of the shares. During the second quarter, a few of these institutions were adding to their existing positions. For example, T. Rowe Price increased its stake by 1.7 million shares bringing its total holdings to 18.7 million shares. During the second quarter, the number of a total number of 13F shares among hedge funds fell by 35% to 3.3 million. During that time about 15 funds created or added to their positions. Meanwhile, 21 funds reduced or closed their holdings. However, overall institutions were relatively unchanged during the quarter falling by less than 1% to 157.2 million total 13F shares. Analysts see the stock rising by 30% to an average price target of $52.50. However, that price target has fallen since June by 5%. One reason analysts see the shares rising is that they forecast revenue growing by 35% through the year 2020 to $1.2 billion. 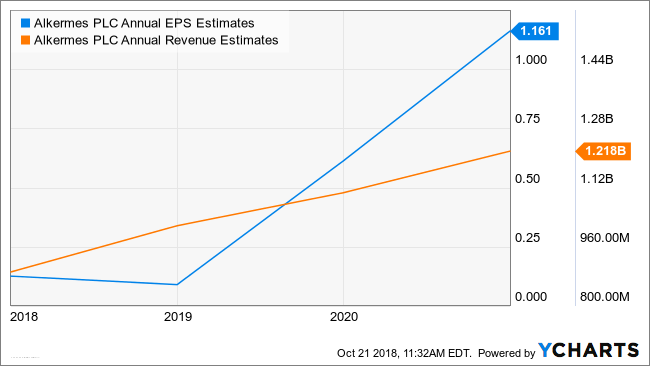 Meanwhile, earnings estimates call for $1.16 per share in 2020 up from $0.09 in 2018. The good news is that analysts have increased their earnings estimates for the company. For example, since June analysts have raised their 2019 earnings estimates by more than 34% to $0.61 from $0.46. Perhaps these few large shareholders see something more significant in Alkermes and its future then what analysts currently forecast. It is undoubtedly attention-grabbing when some of the biggest institutional investors own such a considerable amount of one company. Perhaps, the next few weeks will shed some light on the future of the company and why these big players own such a large stake. This entry was posted on Monday, October 22nd, 2018 at 8:48 am and is filed under Hedge Fund News, Stock. You can follow any responses to this entry through the RSS 2.0 feed. Both comments and pings are currently closed.